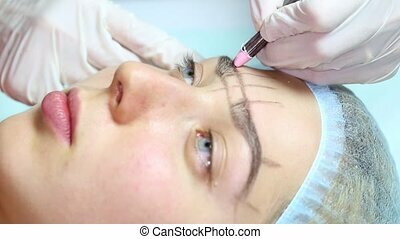 Eyebrow mikrobleyding. 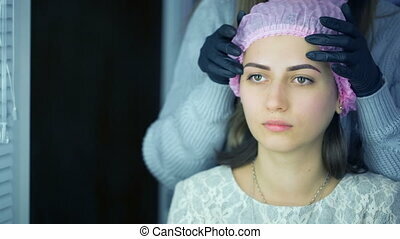 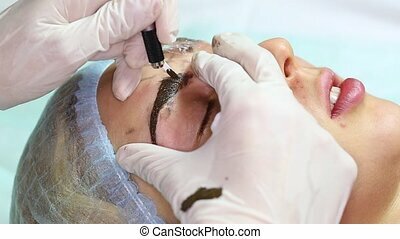 Mikrobleyding eyebrows workflow in a beauty salon. 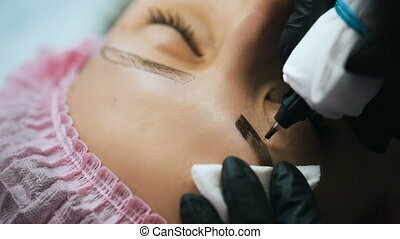 Mikrobleyding eyebrows workflow in a beauty salon. 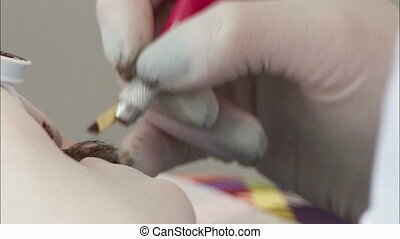 Selective focus and shallow Depth of field. 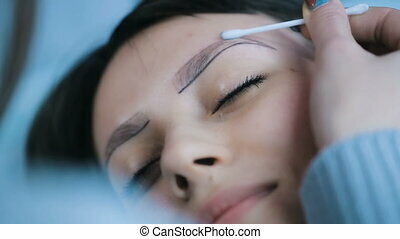 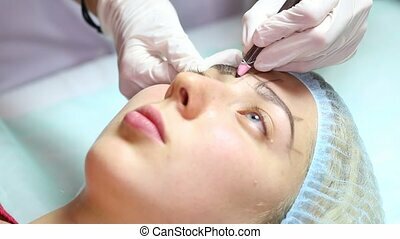 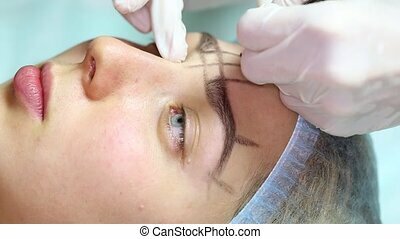 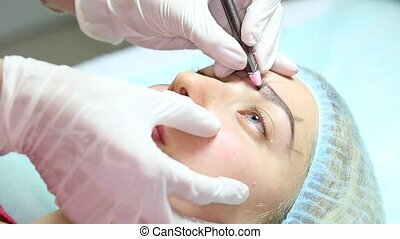 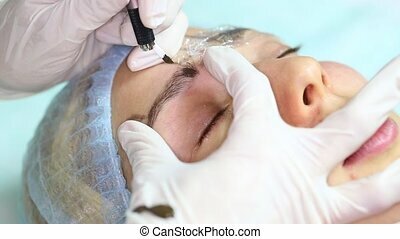 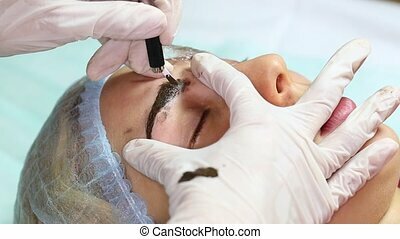 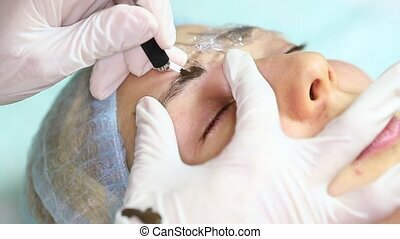 Woman look at the mirror after permanent tattooing of eyebrows. 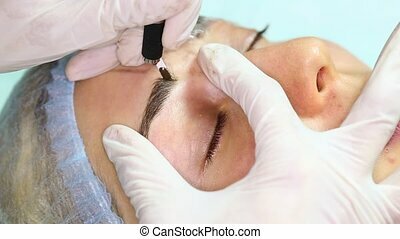 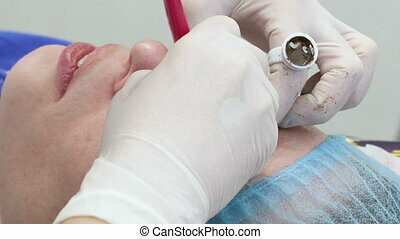 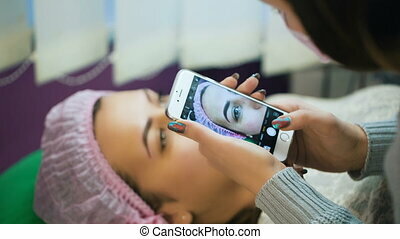 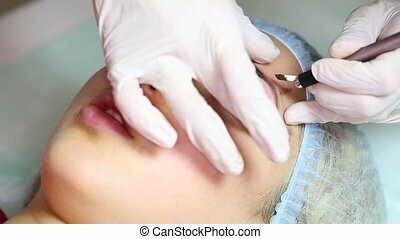 Woman taking photo after permanent tattooing of eyebrows. 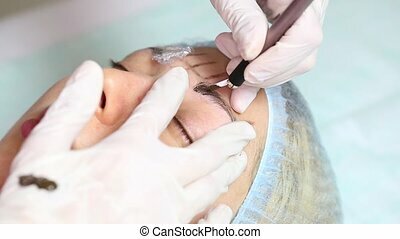 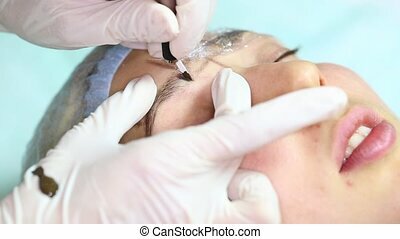 Microblading eyebrows workflow in a beauty salon. 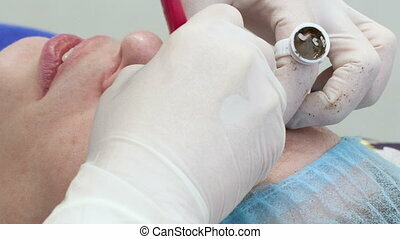 Selective focus and shallow Depth of field.